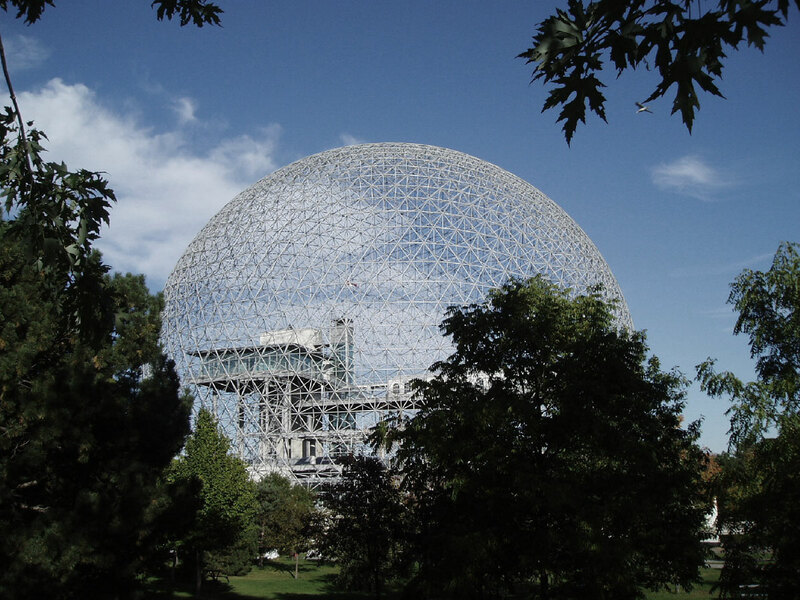 The Biosphere is the synthesis of his entire process: built from triangles, which Buckminster Fuller considered the perfect form, he demonstrated that it was possible to create a liveable space using only one-fiftieth of the materials normally used in a conventional architectural design. The triangle is a natural mathematical figure that, in combination with other triangles, provides maximum efficiency with minimum structural effort. By assembling a series of identical geometrical units that are both self-supporting and light, Fuller obtained a dynamic construction in which the individual components contribute to the overall structure. While each component is independent, it cannot exist without the others. 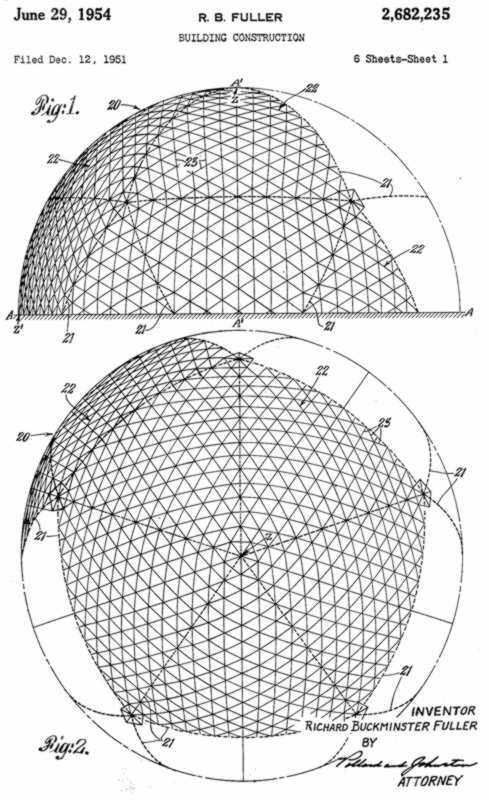 “Buckminster Fuller’s first geodesic dome, 18 metres in diameter, was built on The Dome Restaurant in Woods Hole, Massachussetts, in 1952. The technical problems encountered – leaks, the difficulty of controlling indoor temperatures in bright sunlight, the fragility of the outer covering, and high ambient noise levels – were hardly surprising given the novelty of the structure, but slowed down the development of this type of construction. 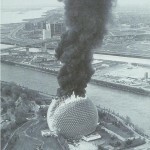 The experience was nevertheless considered conclusive enough for Buckminster Fuller to move on to the construction of larger domes. The Dome Restaurant’s hemispherical structure, composed of triangular plastic elements fixed to aluminium struts, laid down the basic principles that he refined in the years that followed. 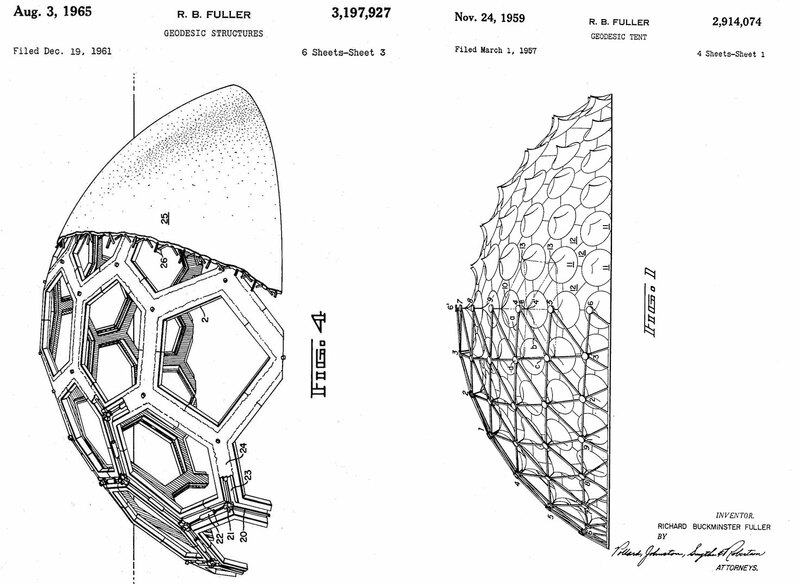 A striking demonstration of the soundness and quality of Buckminster Fuller’s ideas came in the spring of 1953, with the construction in just a few weeks of theFord Dome above the central atrium of the Ford Motor Company’s cylindrical head office building in Dearborn, on the outskirts of Detroit, Michigan. 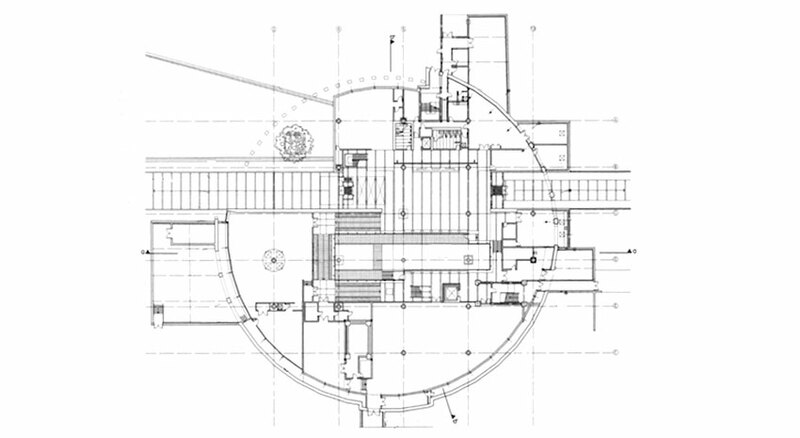 The 8.5-tonne dome, with a diameter of 83 metres, was in fact the only structure capable of covering the vast central space without placing too much pressure on the walls of a building that had not originally been designed to accommodate such an addition. 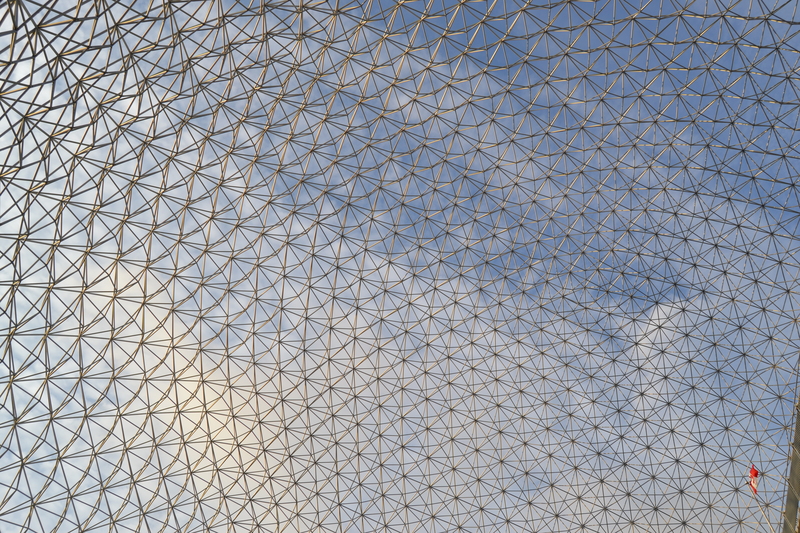 World media attention to the construction and inauguration of the dome popularized the theories of “Bucky,” as he came to be known. 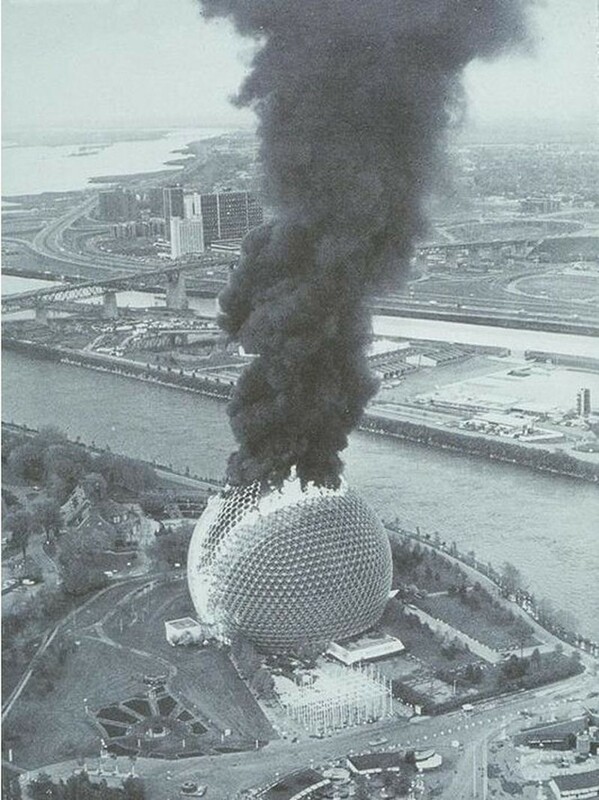 In short, when he approached the American government in 1963 to design the U.S. pavilion for Montréal’s World Fair in 1967, Buckminster Fuller had become a star. 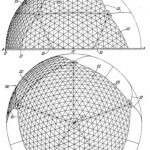 Geodesic domes are the most efficient structures ever created in terms of material weight. Their main quality is that they distribute tension and stress economically throughout the construction, by channeling it in different directions. 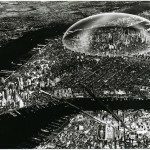 The larger the dome, the more resistant it becomes, because of the synergetic forces at work. 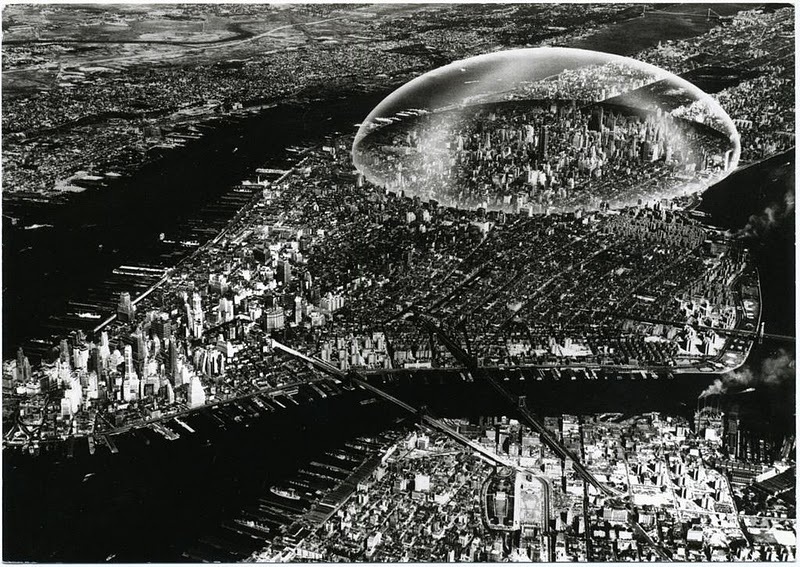 However, the domes also have a number of drawbacks; for example, they are not suitable for highly urbanized environments and are practically impossible to extend. Also, given the dynamics of indoor air circulation, they require major fire prevention installations and excellent ventilation systems. Never forget that you are one of a kind. Never forget that if there weren’t any need for you in all your uniqueness to be on this earth, you wouldn’t be here in the first place. And never forget, no matter how overwhelming life’s challenges and problems seem to be, that one person can make a difference in the world. In fact, it is always because of one person that all the changes that matter in the world come about. So be that one person. 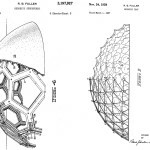 Patents and Gallery of Buckminster Fuller of Geodesic Structures. 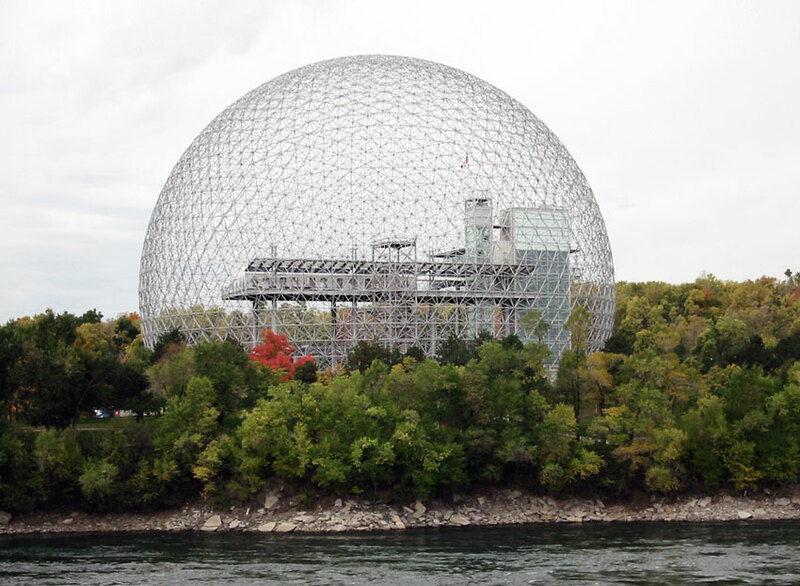 Cite this article: "Montreal Biosphère of 1967 / Buckminster Fuller," in ArchEyes, April 9, 2016, http://archeyes.com/montreal-biosphere-1967-buckminster-fuller/.